Eva Longoria got engaged to businessman boyfriend Jose Antonio Baston this month. The actress announced the good news on her Instagram account and shared a photo of their special moment. We got to see a glimpse of her ring – a stunning sparkler with a large ruby stone on the center, surrounded with diamond stones. Joe Manganiello popped the question Christmas Day of last year but we were not able to see a clear view of the ring until Sofia Vergara walked on the red carpet of the SAG Awards. She showed off her stunning ring, which featured a huge cushion cut diamond that stole everyone’s attention. The gorgeous couple tied the knot in a beautiful wedding ceremony, and Sofia wore one of the most glamorous wedding gowns of 2015. We know a lot of fangirls were heartbroken when news circulated that The Vampire Diaries hottie Ian Somerhalder got engaged to girlfriend Nikki Reed, but the cute couple seems really happy with each other. 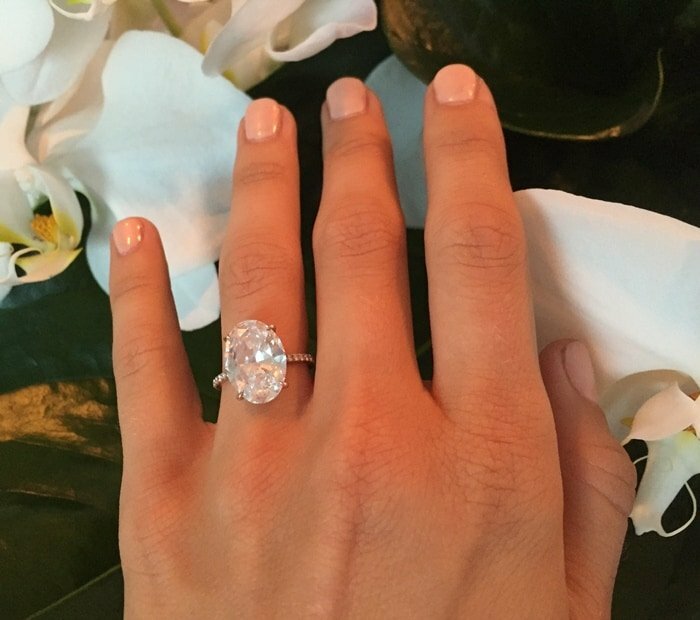 Nikki’s sparkler features a very unique design – a floral-shaped ring with large diamond stones. The ring is approximately 4 carats, and has a lovely antique style. The couple had a simple and very private California bohemian wedding last May. Some newly engaged celebrities try to keep their engagements a secret but there are a few who share their special joyous moments with the world. 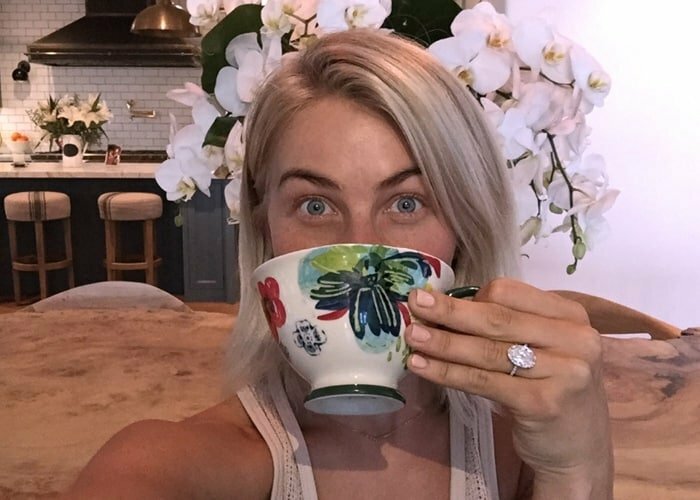 Julianne Hough is one of the handful who so excitedly shared her engagement story on her website. She also posted a photo of her gorgeous ring, which had one of the largest diamond rocks we’ve seen this year! Wow! The gorgeous Alison Brie showed off her engagement ring from beau Dave Franco at the premiere of her movie Sleeping with Other People. The sparkler has a vintage style with a double round halo set in 18k rose gold. It was designed by Irene Neuwirth and reportedly costs around $100k. The Nicki Minaj and Meek Mill engagement rumors started circulating when Nicki posted a photo of her sporting a canary yellow diamond ring on THAT finger. The couple has never publicly confirmed these rumors, but they seem to be heating up even more. Just very recently, Nicki actually posted a new photo of a gorgeous diamond sparkler on the same finger with a very interesting caption.